A person can’t help but notice some of the posts on Facebook very anti-Christmas in November . Like it or not, Christmas season seems to be in full swing, even though it’s still November. So, if the early hustle and bustle has you stressed, may I suggest a few minutes of peace and quiet and a nice glass of wine. You’ll feel better, I promise. Here are a few new wines you might think of trying. For our first wine we are going to Chile. This wonderful Bordeaux style blend of 60% Cabernet Sauvignon and 40% Merlot (hence the name) was a great wine at a great price, $18. If like most of us, you are watching your pennies this time of year, this is a great value if you like those Bordeaux style blends. Bordeaux style blends are big full-bodied blends that pair well with steaks, stews and other meat dishes. Wine and Spirits magazine gave it 90 Points, it’s a winner. I’m studying for my French Wine Scholar exam which I take tomorrow. And because of this course I have discovered how much I love Riesling from Alsace . Alsace France is putting out some of the best Rieslings in the world, and I was pleasantly surprised to find one at the $20 price point. This Arthur Metz Riesling has wonderful flavors on the palate like honey and some floral notes. Super food friendly wine, it goes so well with any fish or seafood, it would be great with spicy food like Thai food, or just plain chicken. I gave blood the other evening and the gentleman giving next to me was telling me how Malbec was his favorite wine, and it inspired me to try this one. This wine won the Silver medal at the 2016 Wine and Spirit Competition, and is a great wine for $22. Locally they gave bought in a limited quantity of this wine, so if you want to try it, I would pick some up soon. Great fruit flavour and perfect structure. I loved this wine. I am a very rich individual. I have a wonderful family and a fabulous group of friends and I am grateful for that every day. The wonderful group of ladies in my building are my friends/family and talk about girl power. Strong and kind, gracious and sweet, but spunky too. Heaven help the person who messes with them or those they love. So we got together for a couple of occasions this past week, one was a dinner party and the other was a birthday party/open house to one of our wonderful golden girls Mair. We are a very social group, and we do love our wine. Tried a few new ones this week, and wanted to share. Our first wine was a local Nova Scotia wine, the Blomidon Estate Tidal Bay. Nova Scotia winery owners and winemakers decided to develop a signature wine that revealed the characteristics of Nova Scotia, and its special terroir. Tidal Bay reflects not only the terroir, but also the coastal breezes and cooler climate of our province. The one from Blomidon Estates and winemaker Simon Rafuse was a hit at our party with crisp acidity and a vibrancy on the palate. Another new wine I’ve tried in the past week is the Anciano red label. I have written about the Anciano Tempranillo wines in the past, and this one is Garnacha, which is what the grape is called in Spain. You may know it as Grenache. Anciano puts out wines of great value, and this one comes in under $15. The fruit is accented with notes of spice and a great wine for meat. It’s not often you hear about a Syrah coming out of Italy, but this was a very interesting wine. The Conti di Matarocco Syrah hails from the coastal town of Marsala, Sicily and is a medium-bodied wine that is fresh and fruity. Another great value at just $14 a bottle and a great wine to have with a meal. And Mason is one of the nicest dogs you could ever meet. He belongs to one my colleagues at the radio station and just brings a smile to my face every time I see him. I thought I would share a photo, since he’s so cute. So that’s your dose of cute today, and now for my wine of the week. Last Saturday I had mentioned in this wine blog, that I was doing a wine tasting that night. It was for a group of 20 people here in Halifax, and I had only met 4 of them before. What a great time we had. So this wine blog is all about the fabulous new wines we tried together with my fabulous new friends. For this particular tasting, we really compared wines at different price ranges. For example, we compared a Sancerre to a New Zealand Sauvignon Blanc. We also compared two different wines from Tuscany and one was twice as expensive as the other. This is the Castello di Bossi Chianti Classico from Tuscany. As I had mentioned last week, there are 9 Chianti districts and 1 of them is Classico. It has long been perceived that Chianti Classico is the premium Chianti, and honestly I have to agree. They are doing great things with Chianti, but you know when you buy Chianti Classico you are getting a great wine. And this was a great wine. This estate was established in 1983 so they have been making wine for a while, and I found it to be on the full-bodied side with very distinct tannins and hints of leather. It sells for $32. One of the big surprises out of the evening was that most people preferred this Tuscan wine. If the name is familiar, I talked about Caparzo wine in my blog when I returned from Italy, because I stayed in a villa on the Caparzo winery site. We would wake in the morning to gorgeous fields of Sangiovese grapes. This wine sells here in Halifax for $16 and I have to say what a pleasant surprise it was. It shouldn’t have been, as I got to experience first hand in Italy how good this wine was. But for the price point, it is smooth and fruity and easy to drink. Caparzo have been making wine since the 1960’s and they do it right. This is more of a medium bodied wine, but really approachable and you’re getting an awesome wine for $16. This is a great wine for pasta and pizza. Another interesting comparison we did was between Bordeaux style blends. We had a high priced Bordeaux wine and compared it with this Bordeaux style blend out of Chile, and all I can say is WOW! I had this wine again last night, when I took it to a social get together in my apartment building. And I was reminded again how good it was. This is probably one of the best deals in the liquor store right now. It’s the Cono Sur blend of Cabernet Sauvignon, Carmenere and Syrah and it sells for $16 a bottle. I went out this past week and bought a half-case. It is spectacular. It is fully organic and some wine critics are giving this 91+ Points. Wine Magazine has it on their ‘Best Buy’ list. Get out and pick some up while you can because I have a feeling it will be sold out. Cono Sur is the 3rd largest exporter of wine out of Chile, and you know how I feel about Chilean wine. Tremendous wine at tremendous value. The Cono Sur was going to be my wine of week, however, I have to feature the winner of our recent Festival of Wines show. This wine was the winner at the NSLC Festival of Wines, and it is so good. I had to miss the Festival of Wines this year because I was in Newfoundland, so what a treat to taste the winning wine. From the heart of the Sonoma County in California where 60,000 acres of vineyards make some of the wine, comes the Kenwood Sonoma County 2013 Cabernet Sauvignon. Kenwood has been putting out a Sonoma series of wine for 45 years. The growing conditions in 2013 have been called ‘golden’ by winemakers throughout California. Whereas Europe had it’s challenges weather-wise in 2013, California andthe entire U.S. had an ideal season with no extreme temperatures or rain. I loved this wine. The oak or the alcohol did not dominate this wine, instead I enjoyed the fruit and the spicy notes. A great wine for steak, beef or even all by itself. At $22 a bottle, this wine is a steal of a deal and deserved the winning sticker. 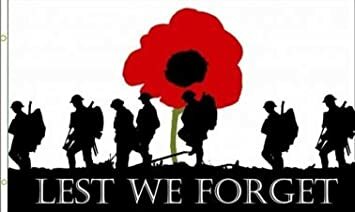 Today is Remembrance Day here in Canada and I would like to take a moment to say a sincere thank you to all the people of our military that serve today and has served in the past. We live in the greatest country in the world and it’s because our veterans fought for the freedoms we enjoy today. A thank you for the sacrifices you and your families make each and every day. When I was in Italy in May, one of my favorite places was visiting San Felice. It was an abandoned town that the owners decided to do over in a fabulous resort. 8th Century buildings surrounded by beautiful vineyards and a first class restaurant. Luxury accommodations, breath-taking scenery, great food, and great wine in the heart of the Chianti region in Tuscany. Well, great news, because I was at a tasting this past week for San Felice wines and they announced they will be coming to Canada, and will be arriving in Halifax in about a week’s time. This is Fabrizio Mencioni at the Port by the NSLC explaining the region and the wines of San Felice. There are 3 wines that will be available here shortly. One of them is the 2011 San Felice Vigorello. This is San Felice’s Super Tuscan, wines from Tuscany that incorporate both Italian grapes and traditional grapes. This particular wine is a blend of 30% Cabernet Sauvignon and 30% Merlot, grapes we refer to as traditional grapes. And there is 35% Pugnitello, an Italian grape and 5% Petite Verdot. The Pugnitello grape was just about extinct in Italy and was known as the forgotten grape. It is a super interesting grape that the bunches grown in small round clusters shaped like a fist. Fist is Pugno in Italy, and San Felice has been doing great things with this grape, and this Super Tuscan blend is no exception. Beautiful structure with good tannins and hints of vanilla. It was a beautiful wine and will sell here for $57.79 a bottle. This is Chianti Classico at its finest. There are 9 regions in Chianti and one of them is Classico, once thought to be the finest of the Chianti wines. In 2014, certain winemakers in the Classico region wanted to let people know of an elevated quality product in the bottle, so they started Gran Selezione, which means Grand Selection. Only the finest quality grapes are being used and the aging requirements are longer than even Reserve wines. This wonderful wine has been given 94 and 95 point ratings across the board. It’s a fantastic wine with 80% Sangiovese and 20% made up of Pugnitello, Abruzzo and Mazzesse. It’s a big full-bodied wine with firm structure and a great wine for aging. This wine will sell for $47.79 a bottle and is available next week. When you come back from Italy you are allowed to bring back 2 bottles duty free. This was one of my bottles. It has a great story. In the follow up movie to Silence of the Lambs, Hannibal, an escaped Hannibal Lecter, played by the brilliant Anthony Hopkins is eating in a restaurant and this is the bottle of wine on the table. The San Felice Il Grigio Riserva is 100% Sangiovese and 100% Spectacular. It sees 24 months aging, with at least 3 months in the bottle before release, and some aging takes place in small barriques, which imparts a very unique wood flavor to the wine. Those distinct cherry flavors from Sangiovese are front and centre with this wine, and it will be available for the great price of $31.99 later next week. Whether you’re a wine lover and or a movie buff, who doesn’t want to try Hannibal Lecter’s favorite Chianti. I’m doing a wine tasting tonight featuring some fabulous wines, including sme new ones. I will tell you all about them next week.